We're not all nose to the grindstone here at Blaine and Associates, Inc. Our employees come from a diverse background and enjoy a rich life outside of the office. Their extracurricular activities bring a lot to the table, and enhances the role each employee plays. One such example is our Administrator Gretchen McNeil. A classically trained opera singer, Gretchen currently sings with Cirque Berzerk, L.A.'s only resident circus troupe. Their new show "Beneath" opens under the big top in LA's historic State Park downtown on June 18, 2009 and runs through Fourth of July weekend. We'll all be there, and so should you! Did you make $200K last year? Want to double it? Major investment firm is growing and eager to hire a staff of 6-10 accomplished brokers with established book of business. Ideal candidate has a proven track record of interfacing with high net worth clients in creating and implementing a financial plan for their investments. Discretionary custom portfolio, individual stock research using S&P and Bloomberg, developing a new book of business while catering to established accounts as well. If you have a passion for the investment arena and want to continue in your career, this is the move you've been waiting for. Three plus years of experience and Series T a must. Brain trust VC firm seeking executive assistant to work for four managing members of the firm. The potential for growth is outstanding! You must be an organized multi-tasker with excellent client service skills and have the ability to thrive in an unpredictable, exciting atmosphere. Four year degree preferred but a passion for Venture Capital and a head for business will get you this position. High-profile client seeking experienced personal chef with a background in organic and sustainable produce with a southern cooking background. 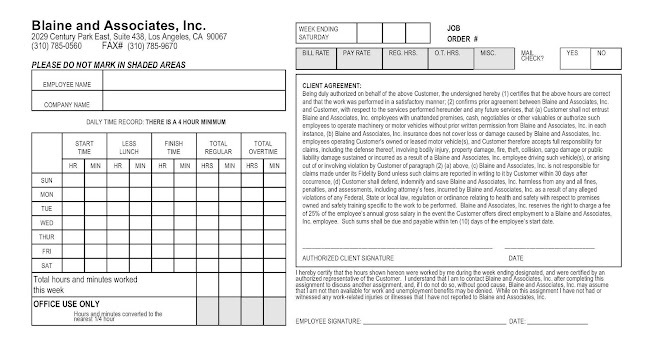 Duties include menu planning, budgeting, shopping, in addition to MS Word and Outlook skills. 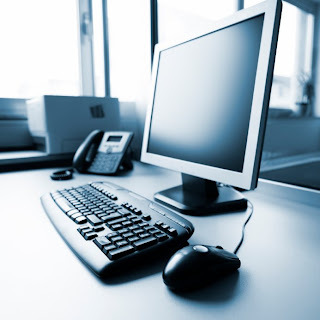 Westside business management firm seeking senior helpdesk/desktop support associate to wok in-house. Will be responsible for all software and hardware on corporate computing platforms, oversee helpdesk tickets and staff, and provide first level support to end users. 2-3 years experience. In depth knowledge of Microsoft Operating Systems and Office products, and GHOST imaging software. International hospitality company seeking specialized agent for their Marine Operations division. General accounting skills are needed for refurbishment projects, proofing of invoices, purchase orders and strong written and oral communication skills. An accounting degree would be a big plus for this career opportunity. MS Word, Excel, PowerPoint and Outlook. Losing your job is more than just losing a paycheck. Most of us structure our lives around our work schedule. So when we become unemployed, it creates a huge void in our daily routine. The longer it takes us to secure new employment, either full-time or temporary, the tougher it becomes to constructively fill the sudden excess of free time. This can lead to a loss of motivation, creating frustration and even depression. To combat falling into that trap, try putting some structure back into your life. Devote a specific time each day to pursue your job search. In addition to scouring the jobs listings on the Internet and contacting staffing agencies, allot some of your efforts to enhancing your skills or developing new ones by updating your computer software skills. Agencies like Blaine and Associates will email you tutorials and then allow you to test your new found prowess. This will not only make you a more marketable candidate, but it will also allow you to feel more in control of your destiny. By keeping active and maintaining a structured and proactive approach to your job search, you'll be able to retain a more positive outlook. And remember, employers hire positive-thinking candidates! It's a difficult time. I probably don't need to tell you that. It's a time when all of us need to realize that in order to snag that interview, that elusive job, we need to be at the top of our game. We all know someone who has been laid off, someone who is at a loss for what they should do next. The immediate question is: "What's next?" Here is what I suggest: take a minute to inventory your skills and decide what you need to add to that skill set in order to explore other career opportunities. Contrary to popular belief there are employers hiring but you need to be proactive about getting yourself, your resume, your presentation of you in the best possible shape. Attend a resume workshop, brush up on your software skills by taking a class, read up on the "do's" and "don't's" of interviewing. You need to be ready when the opportunity presents itself. Make no mistake, things will turn around and you need to use this time to learn how to market yourself. Network, talk to friends and former coworkers, keep your name fresh in their memories. I have seen the best of times and the worst of times in my thirty plus years as a consultant in the employment industry. It is my objective to prepare you in every way so that you are that #1 candidate employers dream about. I want you to walk away with a job offer. Yes, there is a light at the end of the tunnel, but you'll get their faster if you have the right tools for the (no pun) job. Here are just a few of our current openings in our Permanent Division. If you are interested in applying, please email us your resume! Well known design firm is in the process of selecting an Office Manager/Bookeeper to run this high-end firm. Candidates must have 10+ years management and bookkeeping experience. A background with a design or architectural firm is highly desirable. If you have any experience working with manufacturing, operations and outside suppliers, that's also a plus. You must have experience in the following areas: Quickbooks, MSW, Excel and Outlook, Invoicing, A/P, A/R, Collections, GL reporting, budgets, inventory, bank recs and payroll. Duties to include hiring and supervising staff, benefits administration and management, vacation, sick, holiday tracking for employees, assisting President and various Managers with special projects. Must be "project" oriented. This is not a 9 - 5; this is a life, this is a career. Be ready to have fun and work hard. Young, hip design agency seeks recent college grad with an interest in the future of product design. You will answer phones, greet guests, assist with special projects and learn the business from the ground up. You must have MSW and Excel skills, great phone voice, excellent client service background and hopefully a degree in product/engineering design, marketing, communications or architecture. 1 - 2 years experience required. Internships are acceptable. Great benefits and plenty of room for growth! Turn on the TV, listen to the radio or pick up a newspaper. Everywhere you go people are talking about the economy. And it seems everyone knows someone who's lost their job due to downsizing. You might even be one of them! With more than 33 years in the staffing industry, this is not the first time I've experienced a contraction of the workforce and I suspect this isn't your first time either. Never a pleasant feeling to say the least. We are all feeling the pain in our pocketbook and the uneasiness of an uncertain time. But these challenges also bring opportunities. Traditionally during a recession firms tend to cut back on their workforce excessively and then find themselves understaffed once their business begins to pick up. They turn to services such as ours to fill the gap and by this avenue will bring these same temps onto their own payroll as full-time employees. It's an easy transition: the temps have already been trained and have proven themselves a valuable asset. And since temporary positions tend to be skill-driven and not industry-specific, it's a terrific chance to explore careers in a new field. So seize the opportunity - in a time when you feel like opportunities are rare - and reinvent yourself. What does the recession mean for you? Might just be time to embark on a new adventure!